Since it’s Easter time, the kids have been wanting to have lots of Easter egg hunts in the backyard. Today I decided to make it a French learning Easter egg hunt. I took all of their little plastic animals and put 1 into each plastic egg and then I hid the eggs. After the kids found all of the eggs we sat on our patio swing and opened each one. I had them say the animal’s name in French. I think they really enjoyed the change for this Easter Egg hunt. Here are some vocabulary words you can use for this activity with your toddlers. 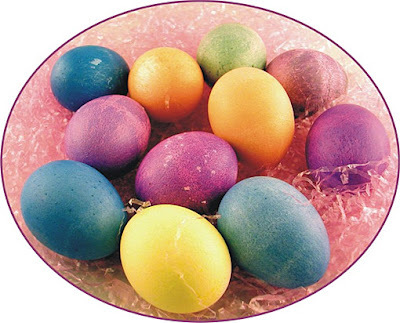 You can do this activity with any little toys that will fit in eggs. You can put little toy cars in and practice their colors. Or what ever you can think of. Thanks for keeping this wonderful blog. My younger siblings (ages 1-7) and I (19 years) are starting our own “language club” where we will learn ABOUT different langauges and cultures and study some languages. We’ll focus mostly on Spanish but I’d also like to introduce some French to them. My 5 year old brother will start French in school this fall so I’d like to get him started this summer. Could you please include the phonetics/transliterations for these words?